Livestock Services Department Job Circular 2019 has been found on my website. Department of Livestock Services (DLS) Job Circular 2019 have been published on their own website. Livestock Services Department has been circulating many category jobs circular such as DFA, Compounder, Pol tries Technician, F.A ( A/I). 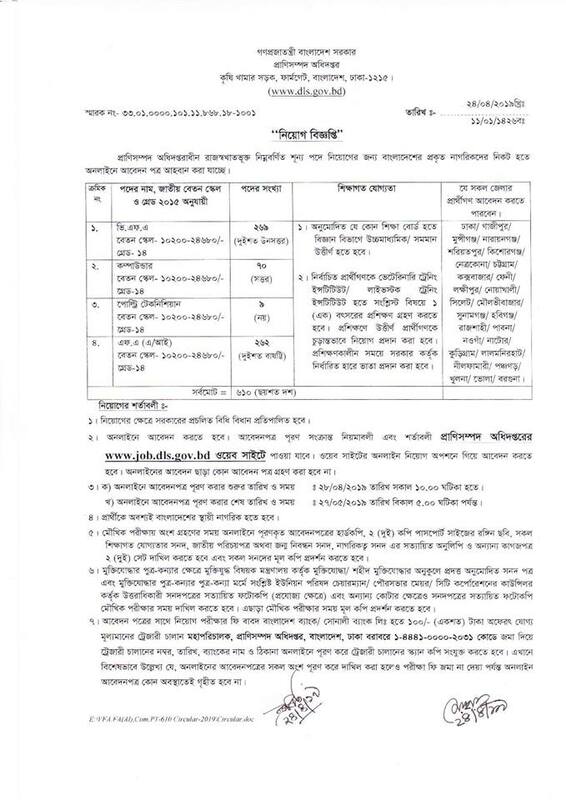 Ministry of Fisheries and Livestock Bangladesh published new Job 2019. Bangladeshi citizenship is requested to apply for the post. Livestock Services Department is the total number of vacancies of the post 602 (Six hundred two). Livestock Services web site www.dls.gov.bd/. 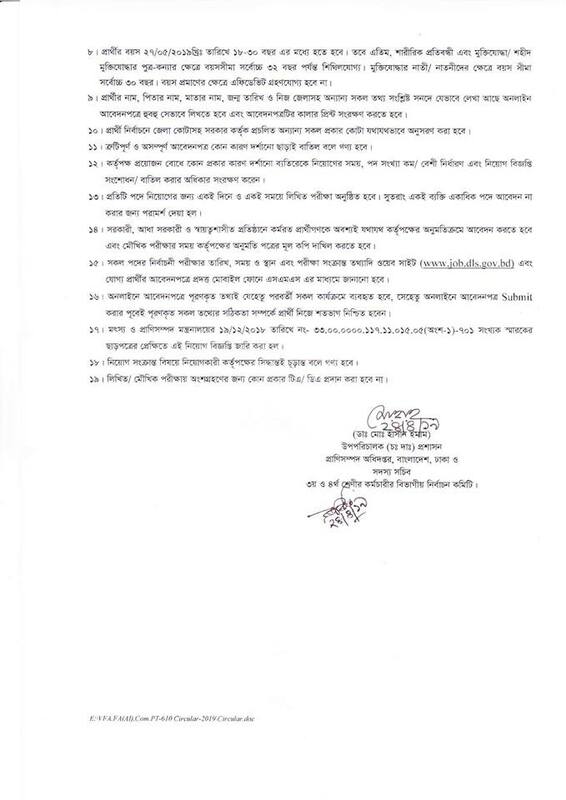 Livestock Services Department Job Circular 2019. ■ Job Description: This job position is experience, talented analyses of technical for further review and selection purpose. Ministry of Fisheries and Livestock will recruit more than 602 employs for various post. Eligible and interested people may apply in the prescribed application form which can be accessed from www.dls.gov.bd. Applicants age between 18 and 30 and 32 Child of Freedom Fighter as on 28th June 2019. Applicants have to mention quota and district name on top of the envelope. They have to attach 3 copy photo, all certificate, character certificate, citizenship certificate with the application form. The application form will be received up to 1st November 2019. Department of Livestock Services Job Application fee Tk. 100/= only Tracery Chalan copy inferior to Director General Department of Livestock Services (DLS). Livestock Services Department Job Circular 2019.